A good way to get the most out of your high performance computer is with some high end overclocking RAM. 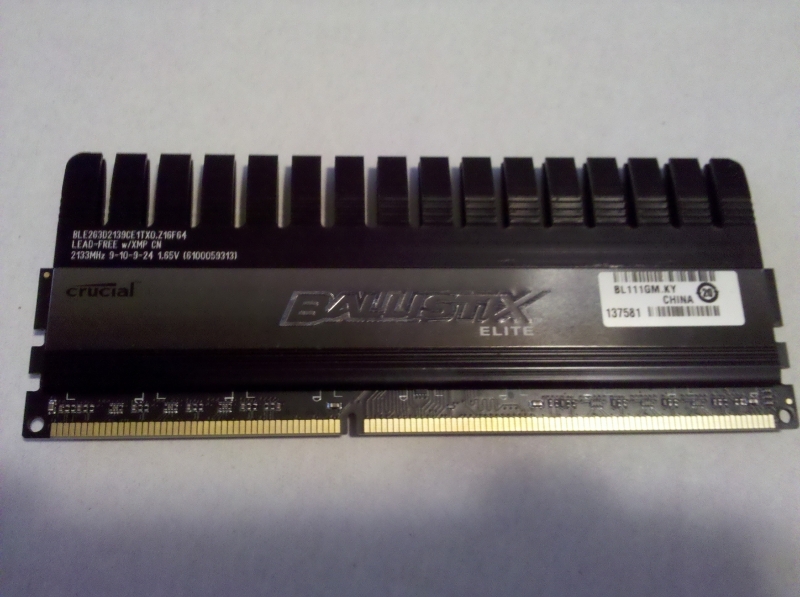 The price of DDR3 has fallen rapidly lately, making it much more affordable to populate all of your RAM slots. For some people 1800 MHz isn’t fast enough, they need to hold down the accelerator until they feel their eyeballs sinking into the back of their skull. For this reason Crucial has released a triple channel kit of their 2133 MHz Ballistix RAM. Join us as we take a look at this power house RAM and find out if you even need all of that speed. Normally enthusiast RAM has an XMP (but not always) which allows the RAM to set its timings and voltage of the DIMM slots. This works great most of the time. The issue we run into here is multifaceted. Because the kit that we received is a triple channel kit, it needs to be tested on a socket 1366 i7 processor that has a triple channel memory controller. The memory controller for the 920 i7 was designed to run with 1066MHz DDR3. Anything faster than that is just icing on the cake as far as Intel is concerned. The issue we run into with the higher frequency RAM kits is that ability of the IOH of the x58 chipset on the motherboard to keep up without pumping too much power into it and letting out the magic smoke. This was one of the key issues we had while testing this product. We just weren’t able to get it to the advertised 2133 MHz on an x58 platform. The closest that we could get without worrying about breaking something was 1866 MHz, so all of our benchmarks are done at that speed. Because of how we had to overclock and raise the voltages on the system, the processor was also overclocked to 3.2 GHz.